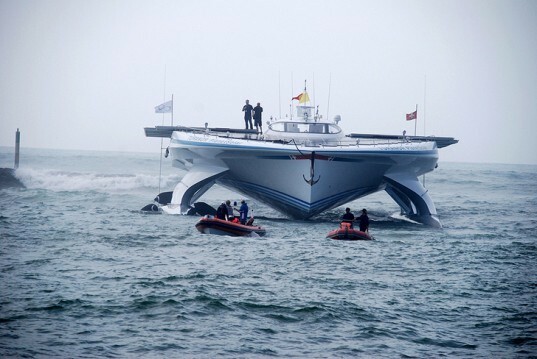 MS Tûranor PlanetSolar, the world’s largest solar boat, set a new record for the fastest transatlantic crossing by a vessel powered entirely by solar energy, smashing its own 2010 record by four days. The 115-foot Swiss catamaran traveled 2,867 miles (5,310 kilometers) across the Atlantic Ocean in 22 days, conducting experiments along the Gulf Stream as part of the PlanetSolar DeepWater expedition. The catamaran left from Las Palmas, Spain, on April 25, 2013, and sailed across the Atlantic Ocean, traveling at the speed of 5.3 knots before it reached Marigot, St Martin, in the West Indies on May 18, 2013. Despite several consecutive days of cloudiness the boat reached its destination in 22 days, 12 hours and 32 minutes-four days earlier than in 2010. In order to manage the boat’s energy consumption, based entirely on solar power, the crew had to adjust the route several times along the way, which resulted in a 7% increase in traveling distance. 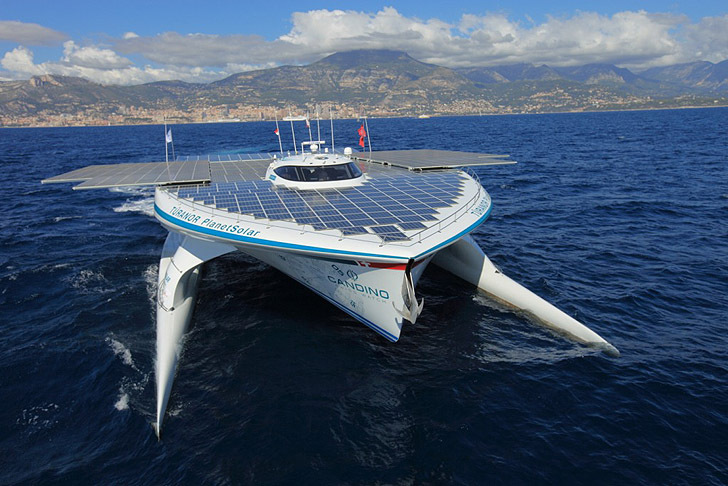 The catamaran has set five world records to date for a solar-powered boat, including longest journey with the first trip around the world, the fastest solar-powered crossing of the Atlantic and of the South China Sea. The newest Atlantic record, which bests the one from 2010 by four days, is currently undergoing an authorization process at Guinness World Records.